First of all, apols for lack of posting but it really is the busy season for transactions just now ("*despite, errrr, Brex...*"). Meanwhile, back in never-neverland: the various parties lined up to satisfy the government's cravings for new nuclear power plants have pretty much reached consensus that even the dreadful Hinkley deal won't be good enough for them in future. Doubtless the developers coordinate carefully behind the scenes; and from each of the individual bilateral negotiating tables comes the word that unless the government is prepared to take more project risk, no kind of CfD deal alone (even of the one-sided EDF-Hinkley kind, see plentiful C@W comment on the Hinkley tag below) will suffice to get the show on the road. The actors concerned in the respective red corners are of course EDF itself, considering Sizewell C (its next putative UK nuke project) and various Japanese and Korean players. In the blue corner is always the utterly useless HMG, whose negotiating prowess was amply illustrated by the Hinkley debacle (not to mention Bre...), and whose leader, Mrs May, has the resolve of an indecisive blob of jelly. Partly this situation comes about because the developers have spotted a soft touch, of course. But it's not to be ruled out that a genuine issue lurks, namely that the whole history of nukes (and ever-tightening nuclear safety regulation) may fairly imply that commercial enterprises will never be the right kind of entity to undertake their development. What's needed, this logic concludes, is an investor with the lowest-possible cost of capital, i.e. an AA-or-above government. Also, guaranteeing the revenue stream alone (à la Hinkley, although the redacted parts of that deal guarantee even more) is not enough. In particular, it's development risk the commercial players don't fancy. Folowing this to its conclusion, some (and not just the vested interests, nor even those who believe all power plants should be state-owned) are now arguing that while the market model is ideal for optimising the day-to-day running of an energy network, it doesn't work for actually building the system. It's not too hard to agree this in respect of the 'natural monopoly' aspects of the infrastructure (and almost everyone does). But many of us felt we had reached a workable and indeed proven model for leaving the market to build new generating plant. Even we free-marketeers would need to accept a couple of qualifiers. The trivial one is that the capital costs of renewables will need to fall yet further before anyone will routinely build them without subsidy. True; but even such purely political programmes are greatly improved by auctioning the subsidies, making the whole thing at least semi-privatised, semi-market based, semi-efficient. The second major qualifier is this. The longest-forward period that capacity markets operate tends to be 4 years, and likewise the tenor of forwards in commodities. That should suffice to get (e.g.) gas-fired plants off the ground in good order on a market basis: construction takes 2-3 years and there are always inventories of shovel-ready projects; and companies can genuinely be expected to take their own views on commodity prices. This still means that big, essentially one-off projects like nukes of >1 MW with lead-times that are way more than 4 years, are highly implausible candidates to be built on a purely commercial basis. maybe one day small modular nukes will fit the 4-year bill, but not yetawhile. So if, for maybe even compelling reasons of long-term planning and environmental politics, someone wants nukes, the best you'll get in the direction of competitive market dynamics is to auction the subsidies you are willing to give. But when someone says, that alone doesn't cater adequately for development / construction risk, which must be borne at least in part by nation-states, they are steering us towards the traditional disaster-zone of governments needing to procure projects on a cost-plus basis. Has there ever been a truly successful multi-billion, cost-plus, government procurement exercise in energy, defence, IT ..? But: the May government, like its Cameron / Brown / Blair predecessors, seems hell-bent on new nukes - so we are fairly likely to see a new model contract coming into existence in the coming months, to tackle some interesting and, I believe, genuine 'practical academic issues' around finance and risk, (as well as different types of practicalities on the commercial and strategic fronts). I'm not sure any of us are particularly confident of the May adminstration's capabilities in any of these regards. Time will tell; and it might be interesting. Are there any (modern) examples of countries that have built private (or at least quasi-private) nukes or are modern nukes always publicly funded? Given a chunk of the development risk is the risk of changing safety standards (see various countries sudden decision to exit nuclear power), my personal view is that it may be efficient for the government to own these assets - though buying a proven model off the shelf and trying to aim for a fixed price contract would be far more sensible than the distortions introduced by the silly accounting games the government wants to play. No, we should not be building nukes. 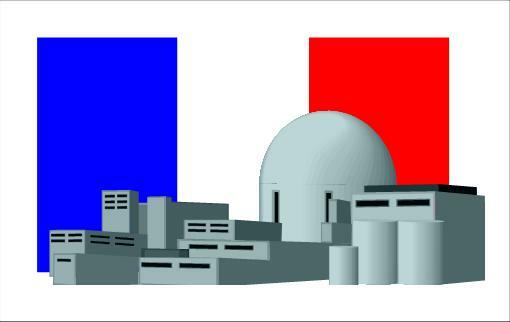 A major advantage of nuclear is that the quantity of fuel needed is small, and it can be easily stored. So we can build up a reserve. Nuclear power stations that can burn part-used fuel are under development. We have a huge store of this fuel. But that is something for the 2030s. Bear in mind that the apparent cost of wind farms is kept deceptively low by not providing storage, which would cost at least five times the price of the turbines. @Andrew: oh dear. Arts graduate alert. Or the lights go out, it’s a simple as that. No amount of unreliables will make up the gap. Andrew - I am a big advocate for more effort being put into energy-saving / efficiency measures (one of the very few areas where you can identify genuine market failure). The scope is great; the policies are pitiful. So - I'm with you to that extent. But that only takes you so far, before you do indeed need to confront the absolutely gigantic requirement for new power plant between now and (say) 2050 - whatever environmental policies may prevail ... see final para below. SW - correct, naturally: but I'd take a different ultimate conclusion, viz "no fossil fuels = infeasible, ergo ... fossil fuels!" Not so. There are large scale power storage products but admittedly not cheap - but in this time of nearly (*) blank cheques doable. High cost/subsidy/profit... whatever you call it = excessive environmental damage. Surely fracking isn't that bad ! The proposed UK Rolls Royce SMR won't hit ND's 4 year target for reasonable private financing. In the marketing blurb they claim "Take just 5 years from the start of construction to the generation of the first electricity", and in real-life maybe that will be 6 to 8 years. The proposed UK SMR is a bit of a misnomer - it has most of the facets of a traditional nuc, just a bit smaller at 220-440 MWe.